While it may not be that big, Scotland certainly compensates by featuring a wealth of destinations and sights that you’ll be scrambling to find time to visit. From the cities in the south to the rugged northern Highlands – Scotland is made of two seemingly different worlds, which are (literally) only walking distance apart. Read on to discover some of our best examples of where to go in Scotland. There are many ways to explore Scotland. A good way to start is to fly into Glasgow or Edinburgh from London – or catch a direct flight from Canada – and go from there. Car travel will not usually be necessary if you plan on staying in the big urban centres of the south, but it is the more convenient way to head directly up into the Highlands and outer islands. If you don’t have or want a car, travel by train is the other option. Trips between Edinburgh and Glasgow take only 50 minutes, while other train lines run regularly to the north of the country. These ScotRail trains are generally safe, efficient, and comfortable – but don’t expect the high-speed journeys of continental Europe. Though Scotland is pretty far north (about on par with Labrador), the weather never reaches the colder extremes you might expect – though it can still get chilly in the northern reaches of the Highlands. That being said, the climate can fluctuate radically, even within the span of one day. Expect wind, rain, cold weather, warm weather, and sunshine sometimes without warning. Tourists generally visit around the summer months (May – September). Spring and fall can be a better time to visit if you’re looking to avoid the crowds while still making sure tourist and historic sights are open. If you only have time to visit one place in Scotland, make it Edinburgh. Built amongst seven hills (much like Rome), the city has one of the most spectacular backdrops of any European capital. Everywhere you look, there are examples of Scottish heritage and culture. While it can get a bit over-touristy sometimes, you won’t care one bit as you navigate the cobbled streets and alleys of Old Town. Venture up the world famous Royal Mile to the dominating Edinburgh Castle for a view of the surrounding region, or hike up Calton Hill for an abundance of monuments, shrines, and more stellar views. While there is a great classic charm to Edinburgh, New Town offers a much more cosmopolitan escape, with everything you would expect from a 21st century city. 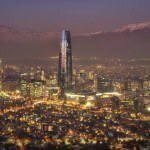 With most everything in walking distance and the sheer variety of sights and amenities, this is one of the best and easiest cities to visit and come away fulfilled. Once the sun goes down, the city comes to life even more (if that were possible) with easy pub-crawls, all-night clubs, and scotch whisky bars. From the picturesque backdrop to the vibrant lifestyle, Edinburgh might just become your favourite city to visit. Though the town itself is relatively small, St. Andrews has become famous across the world for two things – its university and golf. As the third oldest university in the English-speaking world, the University of St. Andrews is usually found just behind Oxbridge for prestige in the UK. This lends the town of almost 17,000 a fun student vibe. The ruins of St. Andrews Cathedral (dating back to 1158) still stand, a reminder of what was once the largest church in Scotland. Today, the town is most synonymous with golf. As the birthplace of the game, St. Andrews has become a pilgrimage for experts and beginners alike (the British Open is still held here quite often). Whether you’re a golfer or not, a visit to the Old Course (est. 1552) is worth the trip alone. While it may not have the immediate ‘wow’ factor of Edinburgh, Scotland’s largest city is definitely worth a visit. This former industrial revolution powerhouse may not possess the same global importance of yesteryear, but it remains the business, financial, and cultural hub of Scotland. It’s definitely a working-class city but if you take the time to explore you’ll find a cosmopolitan experience wrapped in a striking exterior. A mix of Victorian and modern architecture cement Glasgow’s place as a city that is both proud of its history as well as looking to the future. Glasgow is large (it’s the third biggest city in the UK), so there is a lot to do and see here – not least the large amount of bars, clubs, and music venues you can let loose in at night. The city’s central position also makes it an ideal launching point to more scenic sights, such as Loch Lomond and the Highlands beyond. There’s a great appeal in Glasgow’s down to earth attitude once you give it a chance. If you consider yourself a history buff, well then you should consider stopping by the city of Stirling. Located about a half hour from Glasgow, the city is inextricably linked with some of the biggest events and most renowned heroes in Scottish history. The imposing Wallace Monument (yes…William Wallace) makes quite the impression while the site of the Battle of Bannockburn – where Robert the Bruce led the Scots to freedom – lies nearby. Stick generally to the atmospheric Old Town (known as Top of the Town). Here, all cobblestone streets lead up Stirling Castle, with the jail, and other historical buildings along the way. The view from the top of the Top is quite something, and makes you appreciate Stirling’s historically strategic position above all else. If you’ve come to Scotland for the rugged outdoors, you’re going to want to look towards the Highlands or one of the many islands and coastal towns. The Highland’s are often sparsely populated with little in the way of amenities, so it can be a bit overwhelming when deciding where to go. If you want to truly experience Scotland however, you have to venture up north. We’ll cover some of the must see sights in these regions. Regarded as the capital of the Highlands, the city of Inverness is a great place to start your escape into Scotland’s rugged north. Located at the mouth of the River Ness (which flows from the famous Loch Ness, located nearby), the city is home to about a third of the Highland’s population – and is often considered its cultural centre. This is a great place to take in the bagpipe music that is so well known across the world. There are also many famous historical and literary events to have taken place here with the Battle of Culloden (the effective end of Jacobitism) fought nearby as well as the castle of the real life Macbeth existing in the city – which inspired Shakespeare’s work. As the most northern city in the UK, Inverness has a lot to offer in the way of modern fixings, with a great restaurant scene deserving of particular mention. This resort town in Argyll and Bute is especially popular for its prime seaside location and famous distillery from which the town takes its name. While the city can get quite crowded during the summer, it remains relatively peaceful and serene during the winter months. The Oban distillery was founded in 1794, predating the town, and is a must for any discerning drinker of Scotch. Beyond the drink, you can find great seafood, gravel beaches, and more. Perhaps the best reason to visit Oban is to use it as a jumping off point for the Hebridean Islands, which most visitors in the summer come to do. The second largest island in Scotland offers some of the most rugged and gorgeous terrain you can find in the entire UK. Whether you take a ferry from Mallaig or drive across the Skye Bridge, you’ll be treated to a getaway like no other. While the weather can sometimes be rough, it’s worth it alone for the picturesque hills, numerous trails, and rock formations such as the Old Man of Storr. Whisky distilling is also popular here, offering a different taste from the malts of the Highlands. Old castles, great pubs, lonely lighthouses, and more can all be found on the Isle of Skye, just waiting to be discovered. There’s no better way to get a feel for the Highlands (and Scotland as a whole), than by backpacking through it. 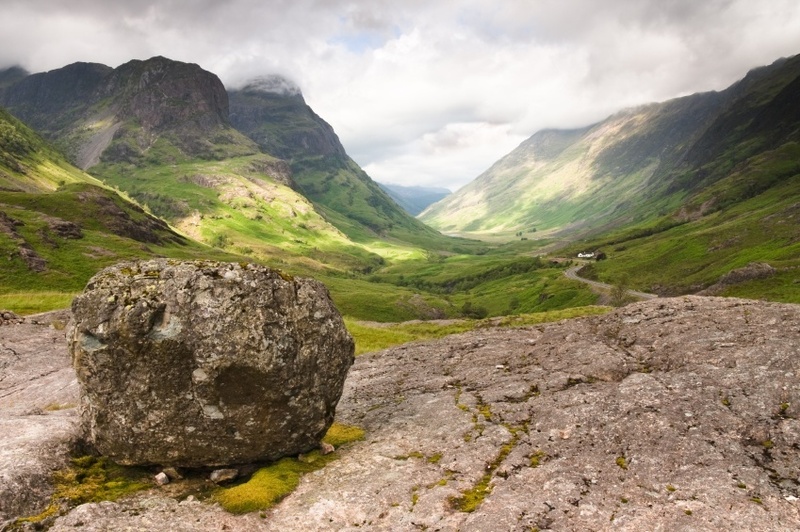 The country’s most famous long distance trail is a must for any real Highland enthusiasts. Starting just outside of Glasgow in the town of Milngavie, the Way runs for 154 km all the way to Fort William. As you slowly ascend into the Highlands, you’ll pass Loch Lomond, Glen Coe, Ben Nevis, and so much more. The hike often takes between five and eight days, though we recommend spending at least six out on the trail to really appreciate your surroundings. You often have a choice of camping or more refined lodging, depending on where you end each day as well. Any of the places mentioned above in bold are worth a separate trip individually. Fort William is the second largest settlement in the Highlands, and lies adjacent to Ben Nevis (the tallest mountain in the British Isles). Loch Lomond is just 20 miles from Glasgow and is rich in natural beauty and Scottish history. Lastly, Glen Coe is perhaps the most spectacular natural region in the country, and was recently featured in the James Bond film Skyfall. It’s hard to capture exactly what it’s like to walk the West Highland Way here, so check out this first person account of a six-day trek (Part 1 | Part 2). It may not be the most comfortable excursion, but it might just be your most memorable. This is it; the end of the line as far as Scotland is concerned. These two archipelagos lie north of the Scottish mainland, so it’s quite a commitment to get there. If you have the time and a thirst for adventure however, it’s absolutely worth it. Both sets of islands are relatively bleak, but the there’s a certain charm in their rough nature. Orkney is the closer and slightly greener of the two. With a rich folklore that has served as inspiration for many fantasy stories, you’ll find an abundance of ancient sites including tombs, stone circles, and fortifications. Shetland is a sparse land but the coasts themselves are starkly beautiful. In addition, oil money has resulted in vibrant, thriving communities cropping up across the land. 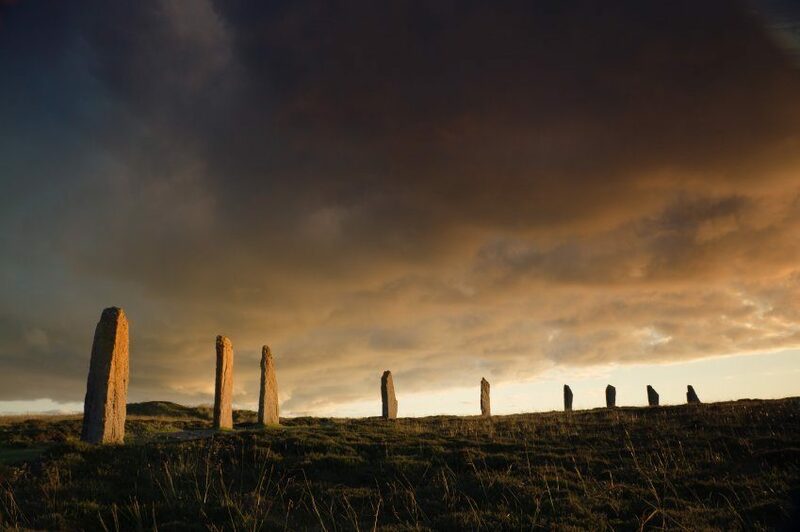 Both Orkney and Shetland have a strong Scandinavian heritage, which results in a unique melting pot of two cultures that can’t be found anywhere else in Scotland. Flight prices to Scotland can vary considerably, especially depending on how you plan your trip. Often, it may be worth flying into London or Dublin and then making your way to Scotland (especially if you’re looking to see other countries anyways) – you can sometimes find cheap round trip flights between London and Glasgow for less than $100 Canadian with airlines like Ryanair. That being said, round trip flights between Pearson and Glasgow can be found for around $1000, though it can often be a few hundred more. Shop around with different airlines and adjust your arrival and departure dates to get the best possible rate. Once you arrive in Scotland (or the UK in general), you can expect to spend about $210 per day with a budget of $110 for accommodation and $55 for food. If you’re thrifty, you could likely get by with closer to $81 per day while living it up like royalty will run about $564. That being said, depending on what you’re doing and how frugal you are, you can get by pretty cheaply. Pubs often offer meals for less than 10 quid and some museums or sights will be free to visit. Be warned, the exchange rate between the Canadian dollar and the Pound sterling is not great for Canadian travellers, though this is usually the case with the pound’s value. Scotland (and the United Kingdom as a whole) is a generally safe and secure country. There is no nationwide advisory according to the government of Canada, and normal security precautions are recommended throughout. As always, be aware of petty crime in tourist and urban areas. Though Glasgow sometimes gets a bad rap, it’s like most big cities with some rougher areas, but fine for the most part. Stay together and don’t wander off alone at night, and you’ll likely be fine. If you plan on hiking off into the Highlands (or anywhere else for that matter), make sure you are properly supplied, someone knows where you are going, and don’t overestimate your skill level. As long as you use your best judgment, there should be nothing standing in the way of a hugely memorable Scottish getaway. These are just a few examples of where to go in Scotland, there’s tons more to see and do. If you think somewhere else should be on the list, let us know in the comments. Check out our Country of the Week for more general information about the history and culture of Scotland.